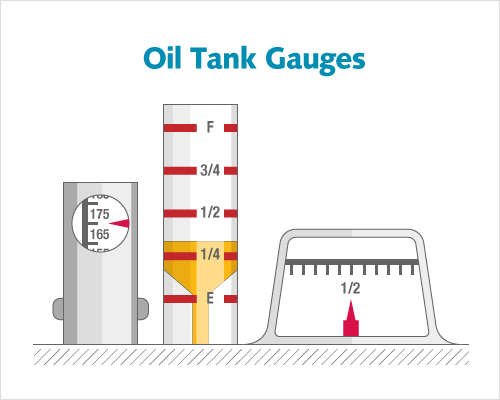 Most fuel tanks are 275 gallons in size and reading your gauge is like reading the gas gauge in your car. Read the gauge on the top of the tank. It will tell you if you are 1/2 full, 1/4 full, or near empty. It should look like one of the gauges shown below.